The lives of the inhabitants of Swevenings are disrupted only by a fierce competition to catch the Old Un, a monster trout known to dwell in a beautiful stream which winds past their homes. Then one of their small community is found brutally murdered; beside him is the freshly killed trout. Both died by violence - but Chief Detective Inspector Roderick Alleyn's murder investigation seems to be much more interested in the fish. Cumberbatch is a great narrator! 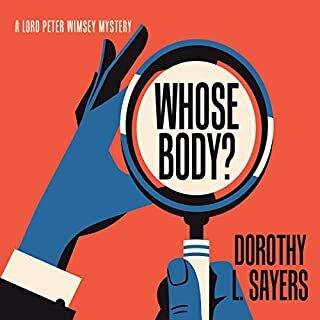 A spa stay turns into a homicidal holiday.... A bit snobbish and a trifle high strung, Sybil Foster prides herself on owning the finest estate in Upper Quintern and hiring the best gardener. 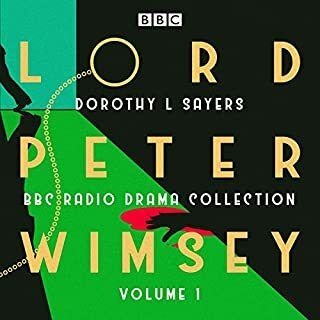 In fact she is rapturous over the new asparagus beds when a visit from her unwelcome stepson sends her scurrying to a chic spa for a rest cure, a liaison with the spa's director...and an apparent suicide. Her autopsy holds one surprise, a secret drawer a second. And Inspector Roderick Alleyn, CID, digging about Upper Quintern, may unearth still a third...deeply buried motive for murder. Good plot & sympathetic characters. A good read--absorbing. 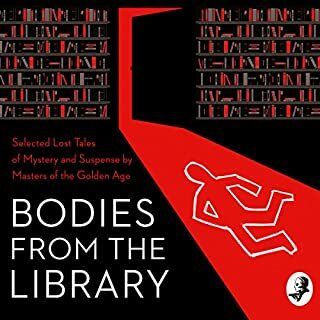 Did get annoyed with the narrator--the foreign men's accents are not particularly convincing. Jane Asher is so good a reader for Ngaio Marsh's "Grave Mistake" that I was sad to see all her other readings are children's books. She needs to be given adult work --- her voice characterizations are truly excellent. The Vicar's upper class! The "Brer Fox" voice, perfect for Alleyn's colleague. In fact, this excellent story has a lot to do with voice and vocal differences and that may be why this reader took it on. I wish she would read all the Ngaio Marsh books. 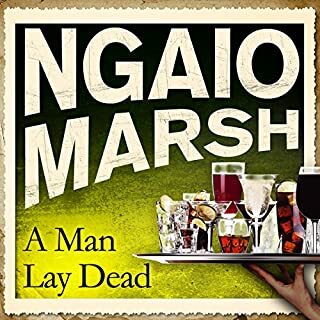 This isn't my favourite Ngaio Marsh book but it's enjoyable. But it's Jane Asher who makes it great. With numerous female characters, Jane Asher could have made this stereotypical and cloying but her narration really does the characters justice. Verity in particular is read with incredible depth. I don't even mind Asher's reading of characters who aren't English such as Gardener and Schram. Narration. Narrator was excellent with female voices and ok to pretty good with some of the male voices. The central character of the series was impossible to tolerate. What was one of the most memorable moments of Grave Mistake? Who would you have cast as narrator instead of Jane Asher? Please acquire this with a different narrator. She was completely the wrong fit..
As most of all of the other reviews mention.. 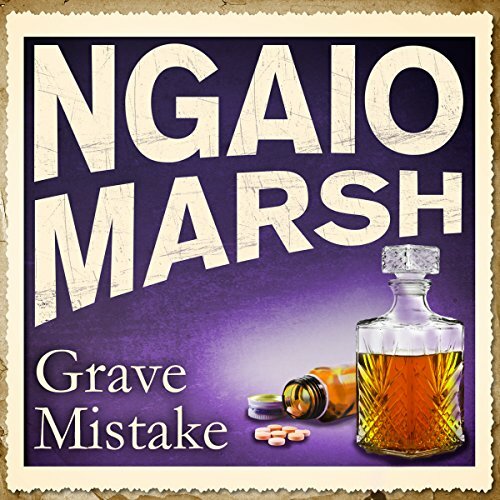 This is one of my favorite Ngaio Marsh books, but I did not enjoy the narration. The narrator chose to pronounce Alleyn's name so that it almost sounded like Elaine. That was persistently annoying, but I also disagree with the Voice which she chose for Alleyn. It was hard and unsympathetic, and not suiting the attractive man as Marsh portrays him. Inspector Fox's voice was also, I think, inappropriate, occasionally exhibiting elements of Cockney. Neither man came across appealingly, and one of the unattractive characters, Dr. Basil Schramm--Who was born in England--was given a European accent. Well narrated, loved the "voices" and we'll developed story! A great escape from reality! Great story telling, characters suit, easy listening. As with many 'Golden Age' detection stories,you must adopt a more credulous state of mind before chapter one. 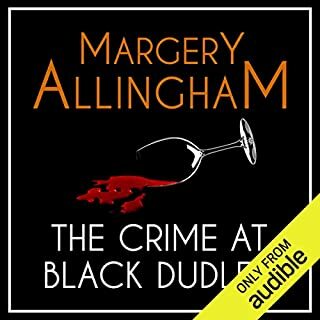 This doesn't stray from the genres norm in that person/people murdered tend not to be the nicest characters,that coincidence runs rampant & usually 'The Yard' gets it's 'man' on flimsy circumstantial evidence, leading to a dramatic last minute confession. As interesting/bonkers as the stories may be, there are rich pickings on the social mores from background descriptions,e.g. unsympathetic descriptions of mental health,frequent kicking dogs,the class system,the necessary cigarette in every sentence. Jane Asher does read it well,maintaining characterisation throughout,however her portrait of the elegant Chief Inspector Alleyn is sadly very stilted. Still for me an enjoyable listen. 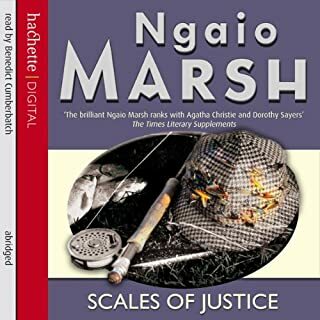 I love other female narrators for Ngaio Marsh's work (Nadia May for example) but Jane Asher's delivery was ponderous and dull and she mispronounces Alleyn throughout. Even if the reader is unaware that it is 'Allen' and not 'Allain', the publisher should be. A bit slapdash and shoddy. A shame, because the story is a corker.